MAGNEM elevates the communication flow between distributors, experiential agencies and, ultimately, suppliers. It was designed and developed to fill a very real void in the market: accountable, real-time data transfer from the field (account-level activations) to the reps who schedule events and to the management team, who is accountable to the suppliers. IT CLOSES THE COMMUNICATION GAP. 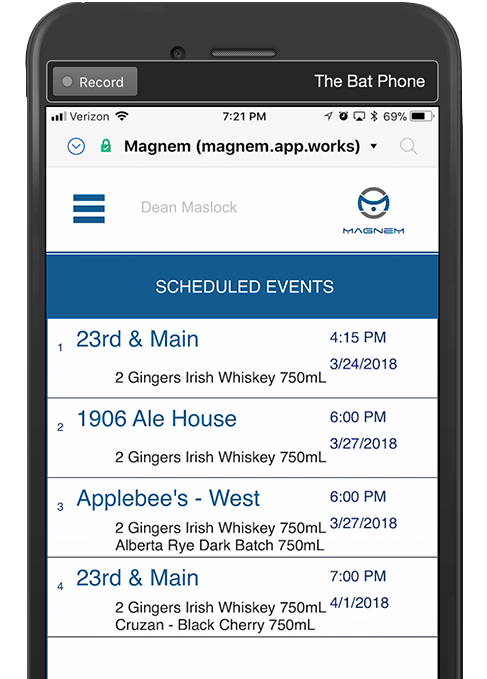 MAGNEM modernizes event scheduling, rep activity reporting and data management between distributor partners, their suppliers and the field. Consumer Sampling: it’s the number one method to introduce and reinforce brand awareness—when done right. Doing it right starts at the rep/account level; it starts with MAGNEM. Ongoing investment in the sampling process build brands. Obtaining and maintaining that funding relies on the ability to report key data points: number of people sampled, bottles sold, demographics, and conversion rates are critical to obtain brand funding. Currently, suppliers who want uniform reporting and data are faced with few options: either hire a national agency, whose market-to-market presence is likely to be sporadic at best, or design and develop a custom reporting system, usually a make-shift version of sales force that costs upwards of hundreds of thousands of dollars. MAGNEM solves both those problems. Because the platform is rooted at the distributor, established, local agencies, who are vetted by the distributor can be employed. And the platform is easily implemented (training the reps takes less than 10 minutes), so every market can utilize the APP for a low, incremental expense. 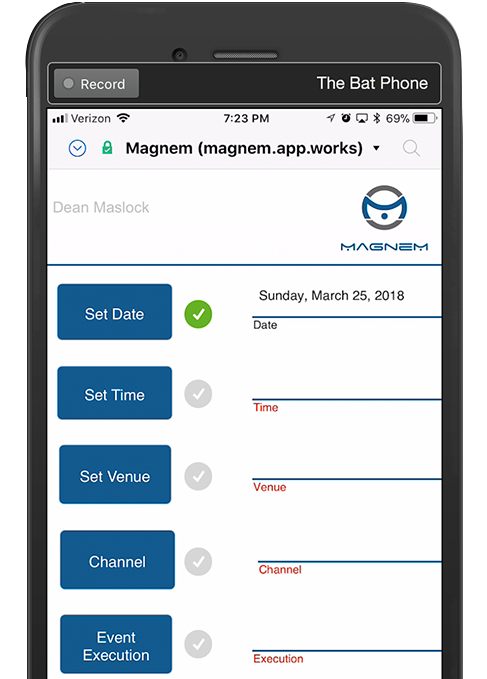 Built with distributor rep in mind, MAGNEM works on a super-easy iPad or iPhone interface with pre-populated data to ensure accuracy. Pick a supplier and only those brands can be selected. Pick an account and the address is correct. MAGNEM’s database maintains all of the accounts in a given market and, with brand-supplier relationships, you’ll never have a supplier/brand mis-match. Entering data for a promotion is as easy as 5 steps: Enter a date, a time, a location, brands, and who’s responsible for executing the event, and Magnem takes care of the rest. Not only are requests generated through a simple, self-guided process, but MAGNEM provides transparent, real-time status updates of an event’s life-cycle. See when events are approved, scheduled and completed. 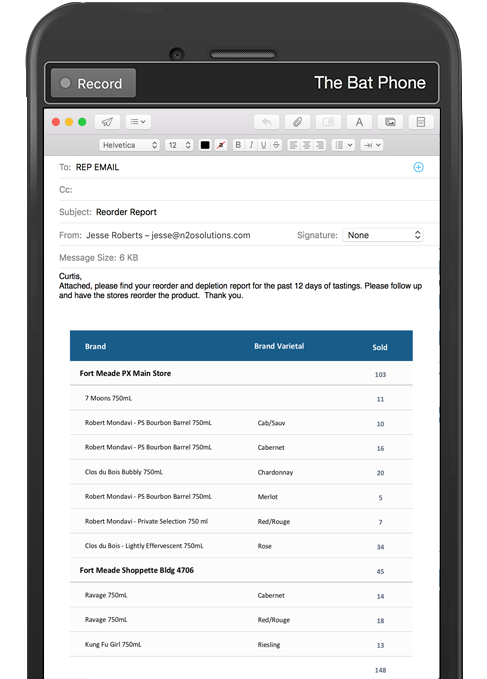 Once completed, both the rep and the distributor management can review in-the-field reporting (sales and demographic data), receipts, photos, and field agent comments. With an easy to use interface, sales managers now have the ability to approve the requested event PRIOR to activation. This process ensures supplier dollars are being spent in the right accounts and reduces cancellations. The APP and the desktop interface both enjoy the benefits of real-time data reporting. The real power of the desktop tool is tracking rep activity. How many tastings have been scheduled, when, by whom, for what brand and where. It’s ALL there. With just a few clicks, the entire promotional calendar is at your fingertips! Want analytics? Dive into our reporting package to see which accounts are performing, building your brands and generating ROI. Introducing the first and only comprehensive management and accountability system for in-store demonstrations. 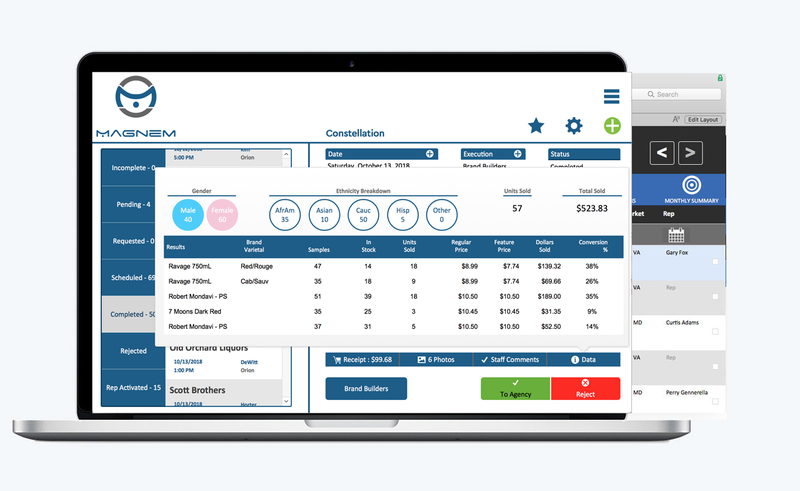 MAGNEM is the ultimate tool for brand & distributor accountability for Promotional Return on Investment (pROI). 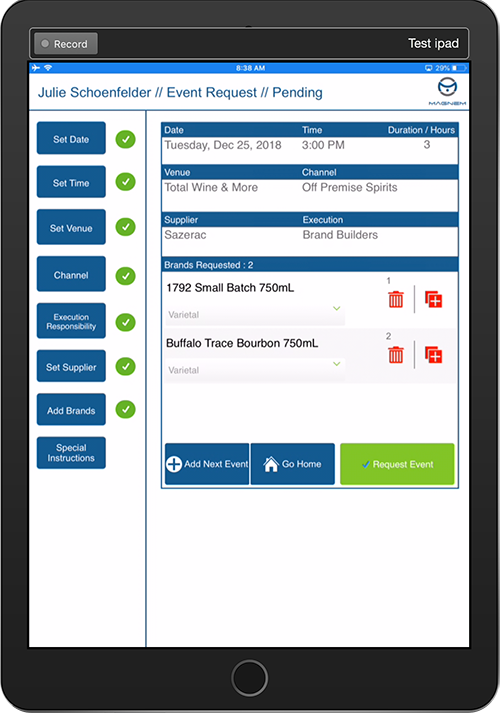 Tastings are no longer a “necessary evil.” With MAGNEM, real accountability for every activation is realized. Want a month or a year’s worth of data for every SKU rolled-up? It does that, too. MAGNEM is EASY. A step-by-step mobile app that’s been test-driven by 35-year veterans of the industry — not just the new wiz-kids on the block. MAGNEM is FAST. Data from the field filter right back to the reps as well as brand and distributor management. Depletions are reported. Task-driven notifications backed by data compel the reorder. MAGNEM is SMART. Tastings don’t just get scheduled at the whim of a rep, they are booked (or declined) using business intelligence. MAGNEM is READY. Manage events on MAC, PC, iPad and iPhone. Achieve visibility and gain insights: demographics, tasting patterns, photographs, sales, receipts, and much more.